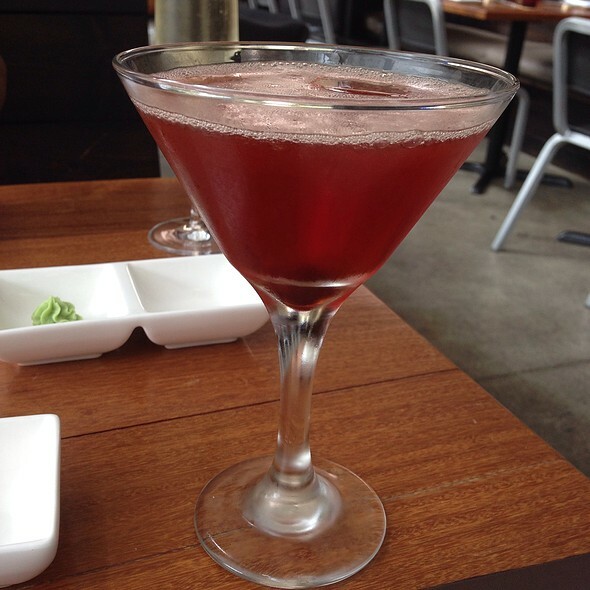 You must make reservations at least 5 minutes in advance of the time at Eiko's. Monday - Friday: 11:30 a.m. - 2:30 p.m.
Social Hour: Monday - Friday: 4:00 p.m. - 6:00 p.m.
Sunday - Thursday: 5:00 p.m. - 9:00 p.m.
Friday - Saturday: 5:00 p.m. - 11:00 p.m.
Eiko's Restaurant takes pleasure in catering offsite and onsite private events. We have experience catering fundraisers, musical events, fashion events, and private parties. 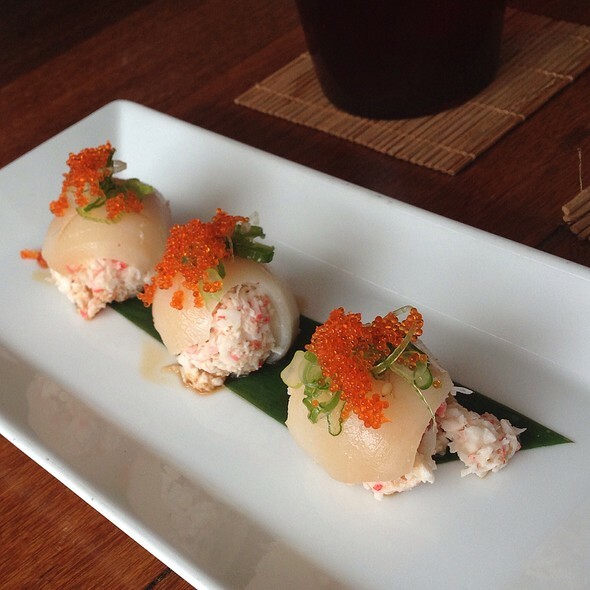 Eiko's delivers imaginative twists on traditional Japanese cuisine. Our vision for the menu combines modern and authentic traditional Japanese cuisine including seasonal, fresh sustainable fish and ingredients delivered daily from our local markets and purveyors. 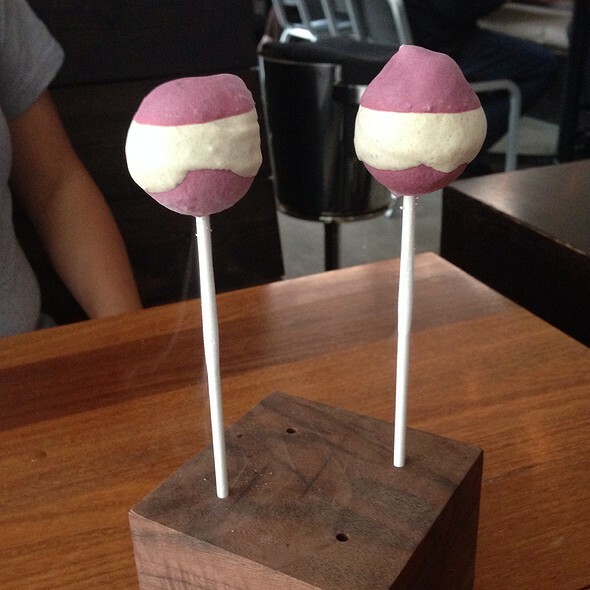 The restaurant's signature design element is an elegant Ipe (ee-pay) wood from Brazil. It separates the main dining room and the lounge. Greeting you as you enter the main dining room are Koi fish painted on the floor. Above the Sushi bar, a 12' x 8' Japanese inscription screen, hand painted by a Buddhist Monk. Fried or Steamed. Shrimp or Kobe Beef. Choice Beef Tenderlon "Bahn Mi"
Maguro, Hamachi, Salmon, Cucumber, Tobiko. Soy Wrapper. 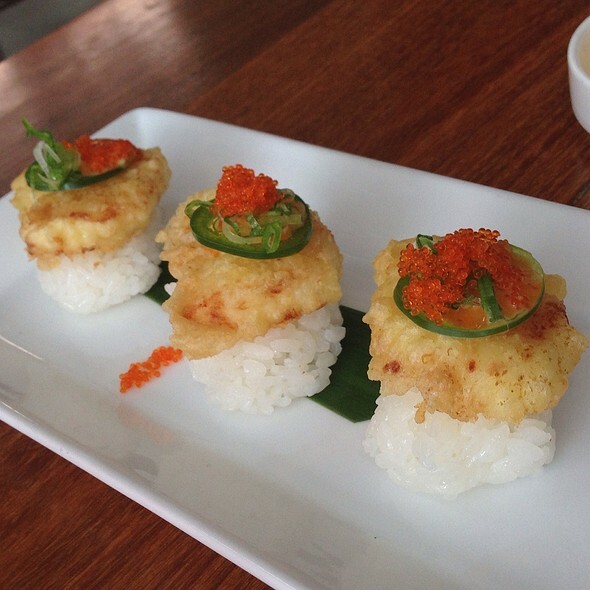 Tempura Soft Shell Crab, Avocado, Tobiko, Spicy Sesame Sauce. Soy Wrapper. Sushi in Napa Valley. 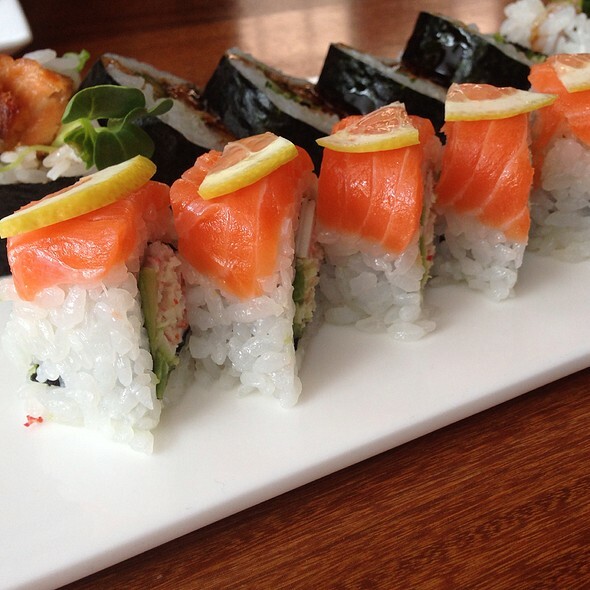 We recommend trying the Super California Roll, the Healthy Fries, at least of their specials. They always have something new and delicious on their daily specials list. The service is sometimes a little slow, so don’t go in if you’re in a hurry. If you are willing to wait for a delicious meal then you won’t be disappointed. Make sure to try one of their great cocktails while you wait. Good was good, I ordered the Napa roll (my fav) and Ricky Ricardo on vacation. My daughter had the tempura bento, the chicken and calamari were bland. Our server forgot our blackened edamame, service was meh. My son and girlfriend went to there for dinner before prom and loved it. We are Napa locals and this is one of our favorites spots for special occasions, date night, girls night and happy hour. It's always our go to for sure! Except for that, we had the a Japanese tapas, some were quite god! Like the seafood crevice, fresh and tasty. The last 3 times dining at Eiko’s there’s been way too long a wait for initial service. This was true on most recent visit even though there were several empty tables near us. Usually food is good, but this time the dish 2 of us ordered was too salty—one of us returned the dish to the kitchen, and the other person wished she had done so. We took my son to Eiko's for his birthday, and we had a great dinner. Delicious food with a varied menu - something for everyone. They were also happy to accommodate me when I requested a sushi roll a bit different from the menu offerings. The tempura ice cream they brought for dessert was delicious. Overall, it was a hit, and we look forward to going back next time we're in Napa. We did not enjoy our experience at Eiko. We did not have a waiter approach us for 10 minutes after our arrival. We looked at our watch and realized that our drinks finally arrived after 30 minutes of sitting at the restaurant. The food was just OK. We asked the waiter to cancel one of our dishes, as it had not arrived after 40 minutes of our meal. He managed to bring it anyway, and it appeared it had been sitting for a while. Unfortunately, we had a pretty bad dining experience and there were folks around us also complaining to the manager about a lack of service. Very delicious food. Slow service. Great food and great service. 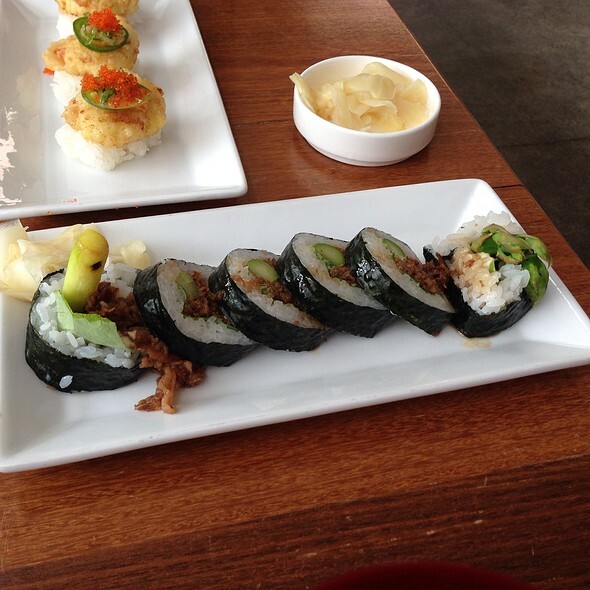 We will always recommend Eiko’s! Great food, great drinks, great service, very little wait! Had reservations for 8:45pm, staff told us to wait so they can clean down our table. When we were sat it took almost 15 minutes for us to even be offered water, we noticed that a new group walked in and within minutes were brought water. So we mentioned something, finally we ordered and food took a while to be brought out but it was good. Would recommend for the food and maybe plan on a day when it seems to be a little less busy. Bon Bons are a MUST. 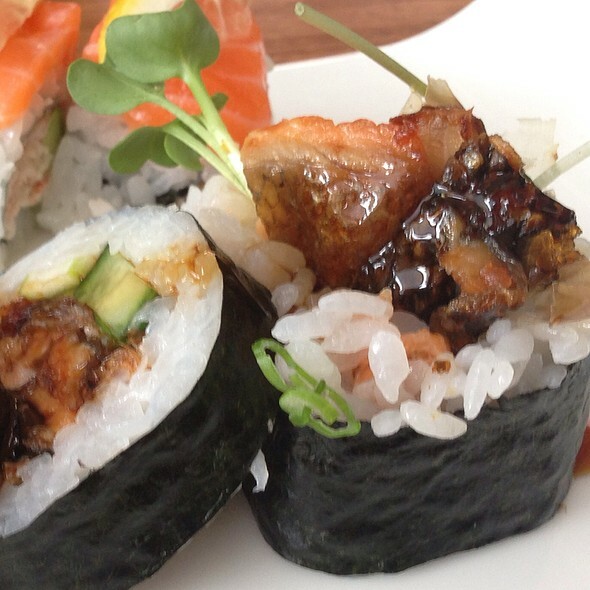 Just love Eiko's - I go there pretty regularly and it's always just delish. HORRIBLE and ONLY BAD EXPERIENCE in Napa!!! We showed up 15 minutes early to a half empty restaurant and was told we would have to wait until closer to our reservation to be sat...really? I put on the reservation and mentioned to the hostess that we were celebrating our anniversary and requested a nice table, instead she attempted to seat us in a booth with a bunch of over people. I asked if we could sit at a table near the window and she replied those are for larger parties, I replied, they're 4 tops and she said there is only 2 of you...really? She then took us to the back side of the restaurant and still sat us in the large booth area but somewhat private. We waited about 10 minutes for our server to acknowledge us, I asked for a wine menu and she asked what kind of wine are you looking for, Cabernet I replied, she said we only have one kind and it's by the glass. We're in Napa, only one Cabernet? I was ready to leave but my wife asked that we just stay....mistake! The hostess quickly began seating people right on top of us, the service was soooooo slow, but the sushi was very good. 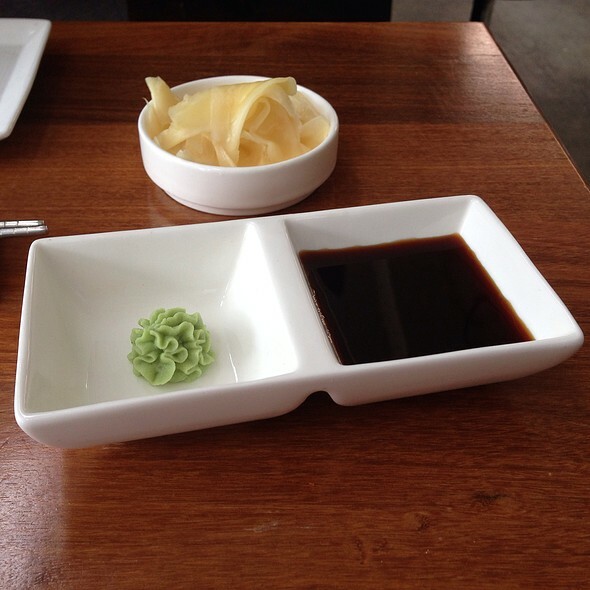 However, when we ordered we requested 2 eel sauces and 2 spicy mayo to be delivered with our meal and when we asked the person delivering our food, she replied that you have to ask your server. Our server took forever to check on us, I asked about the sauces and we never saw her until our bill came. Needless to say we never got the sauces and those 2 glasses of wine were never offered to be refilled, but at $15 a glass for ok at best only wine we have, its probably a good thing. And for those 4 top tables by the window, they were still empty when we left. 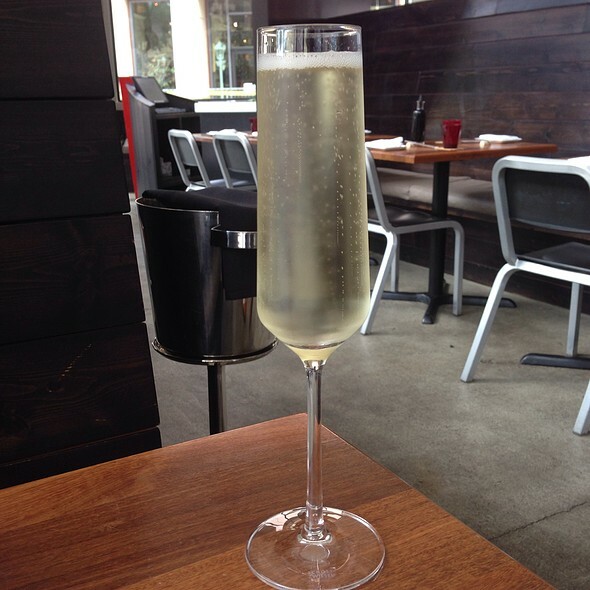 Eokos, please improve hostess and service staff and for Heaven's sake add more wines to your DOWNTOWN NAPA LOCATION! Our server is always so pleasant when we go in ( don't recall her name but she's been there many years and always provides great service). I was there for a retirement dinner with my friends, and was comp'd a lovely dessert by our server. It was a great experience. Awesome food, awesome service, convenient location! Food was superb! Nice location. Very noisy so its not conducive to quiet dinner conversations. Service was slow and wait person was not available for long periods of time when we wanted to order dessert or get our check. We ordered coffee and one dessert and it took 20 minutes to get it and coffee was stone cold...then they were going to bring us a fresh cup, it never came. The food was delicious however service was a bit slow. We decided to try Eiko’s while we were visiting Napa for our birthday. It was great. Dinner was delicious, cocktails were yummy and service was superb. Delicious, fresh, innovative and filling. The Ricky Ricardo was the star of the night. Friendly and quick service. Wonderful beautiful experience. Super friendly staff and great ambiance! Delicious food, particularly the shrimp and vegetable tempura. Nice bar menu, great beer on draft too. We had a professional waiter who knew what he was doing. Cute ambiance, but no tablecloths makes it seem a bit cold. Lovely evening. Second visit. First time everything was amazing. Worth every cent. Second time, huge disappointment. Food was alright. Dessert left something to be desired. Hostesses acted like they had better things to do. Waitress was super nice. Will not be going back. Great!!! Enjoyed the food, unique and impeccably prepared. Love the inventive approach to sushi. Very good downtown restaurant that caters to locals. Great sushi for a reasonable price! Especially reasonable for Napa. We are here 2 times in one weekend. It’s always a great experience eating here . The food and service is on point . All staff are friendly and food is delicious to the eye as well as the tummy . Always a good choice. Service definitely slows during busy nights. But as long as you’re in good company, and the food is as good as it usually is, it’s worth it! Good standard sushi in town. Service can be hit or miss. We had a perfect experience going for my husbands birthday. I requested a birthday dessert when I made the initial reservation and they brought it out at perfect timing and even included "happy birthday dad" on the plate. Our 3 and 4 year old were very impressed. The space is loud but not "noisy". The food is great, it is the best sushi in Napa - so the good staff and ambiance is the cherry on the top. The food was fine. I expected a quiet typical Japanese restaurant ambience. It was noisy- loud music and a sports TV 😕. I was disappointed. Walking by it I thought it looked like a peaceful fine dining place. It wasn’t. It obviously for a different demographic than me. My friend and I went for restaurant week and previously I have ordered from Eiko's outpost at the oxbow market. I have never been let down there. Their menu was by the far the best deal of any offered for restaurant week, but unfortunately we did not have great service. We ended having 4 different servers who all seemed to be on different pages. Our order was taken fairly promptly, but it was a multi course meal starting with soup which took a very long time to come out. Once the soup came out, everything came out and we had no room on the table. We ended up needing to stack plates on top of one another. I understand checking in on a table maybe once or twice but multiple servers came to the table every few minutes each time asking us if we needed anything yet neglecting basic things like filling up half empty water glasses. I am local and a fan of Eiko's and will return in the future, but I think especially in a town like Napa that prides itself for it's hospitality it's important to know about experiences like this. The sushi was very fresh and amazing flavors. If you are a regular sushi eater and know the difference in quality, this is top of the line sushi. A great selection of saki and wine. Service was spot on and beautifully decorated throughout the restaurant.